Storage and server teams have historically had difficulty working together and often end up “finger-pointing” to each other. Today vKernel/Quest released the new vFoglight Storage 2.0 which can perform end-to-end performance monitoring across the entire data path from application to disk. Many issues originate in storage, vFoglight Storage 2.0 can connect the server data to the storage array to determine what is causing the issue. VMware announced a move towards tighter integration into EMC storage arrays for data collection at EMCWorld 2012. vFoglight Storage 2.0 currently delivers “out-of-the-box” support for multiple storage vendors already, fulfilling on VMware’s “vision”. 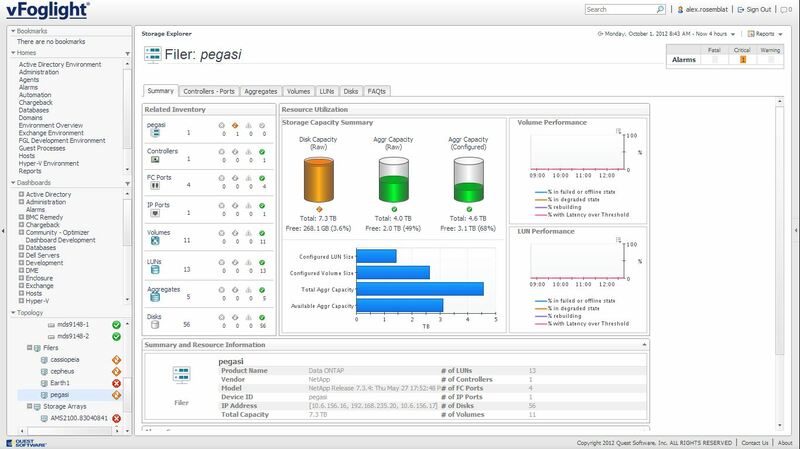 The new vFoglight Storage 2.0 introduces features and integration that enables application to disk performance monitoring. This will allow server and storage teams to literally work on the same page to troubleshoot, manage and plan for VM performance. In the past, storage administrators tended to use management software that looked at fabrics and storage arrays while server admins tended to use management applications that monitored servers. While this situation was less than ideal, the one to one mapping of hosts to LUNs at least provided some measure of simplification. 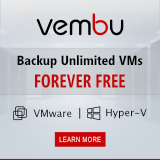 Virtualization upended this less than perfect system eliminating the easy linkage between storage and operating systems with the addition of virtual datastores. In this change, storage administrators have lost the ability to determine what applications are hitting which spindles just as server admins have lost the ability to tell which physical storage components are being utilized by their applications. Added support for EMC VNX and Dell Compellent.